One said, ‘Jesus said, “Let the little children come to me”… Join us for Church school, Sundays 9 a.m.’. Another said, ‘Open for rest and prayer… all welcome’. The last one said, ‘Church parking ONLY, all others will be towed’. 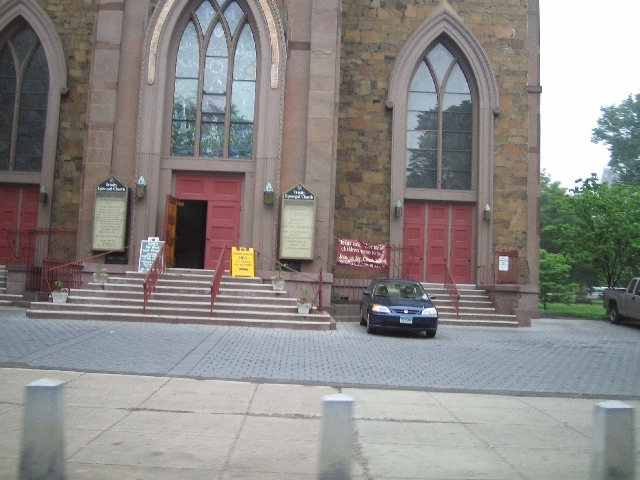 Now, I’m not judging anyone, but surely the church is not on earth to be concerned with parking! To me this parking sign was a big, yellow, bold statement saying, we are very much in the world AND OF the world. A clear statement to society saying we are no different from any other worldly organisation. Surely the church and Christians are meant to be God’s representatives on earth? The word ‘christian’ means ‘Christ like’ or ‘little Christ’. I’m a Christian but (or should that be ‘and’?) sometimes I think we’ve got it SSSOOOO very wrong. I wouldn’t mind betting that Jesus would be so angry if he saw that sign and all the other worldly and selfish attitudes churches have today. So many people who call themselves Christians (myself included) are not living like Jesus said we should. Whatever happened to, “Sell your possessions and give to the poor”? We seem to have conveniently forgotten that instruction (or ‘reinterpreted’ it to bring it up to date) in our possession obsessed world. Today was Harry’s birthday! HAPPY BIRTHDAY HARRY!!! 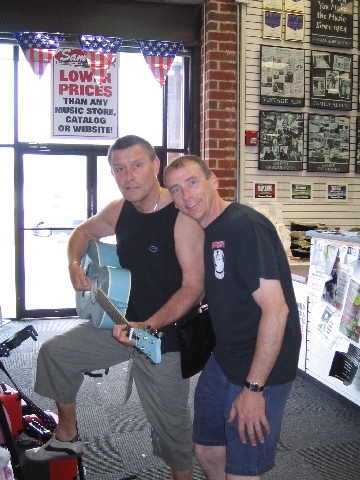 We stopped at a Sam Ash guitar shop where Harry bought himself new amp and Carl tried out a blue flowery guitar – very him! 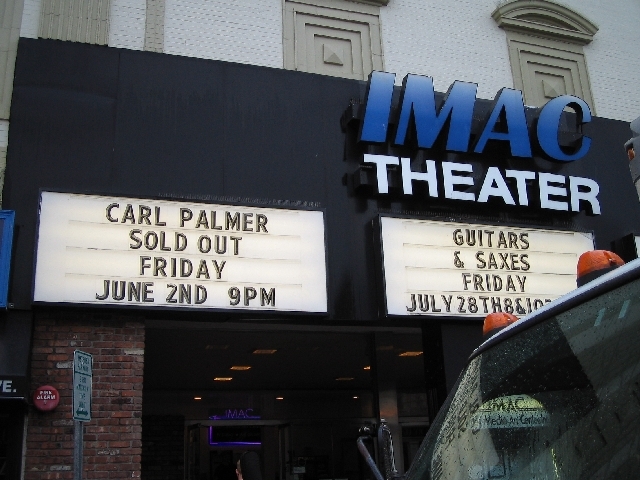 We played a sold out show at the IMAC theatre. 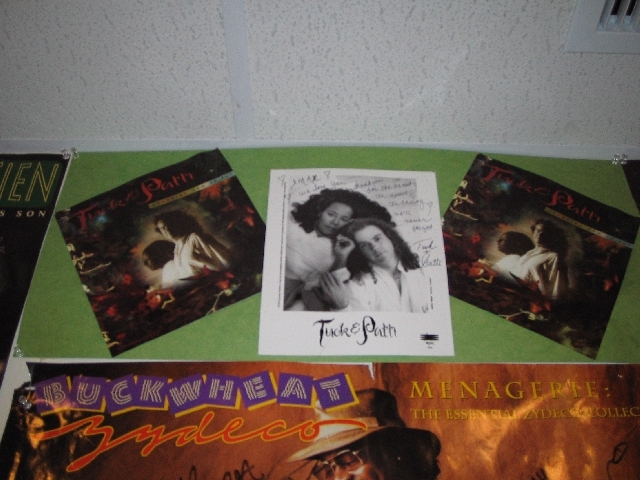 Again some very cool people had played there – there was a signed poster of Tuck & Patti in the dressing room. I’m a big fan, me and my girlfriend sometimes do a jazz duo where we cover a few of their songs. Apparently the IMAC theatre as it is now is just the balcony section of a much larger old theatre. The seating area is the seating area from the balcony and the stage now hovers somewhere above where the ground level seating (or stalls) used to be. We had an interval during the show. The 1st half of the show was amazing – we were all really on it and the energy level was way up. However, with shows that contain an interval, it’s always really hard for the band to start the second half of the show with the same level of intensity as they finished first half. I really struggled with that on this gig. 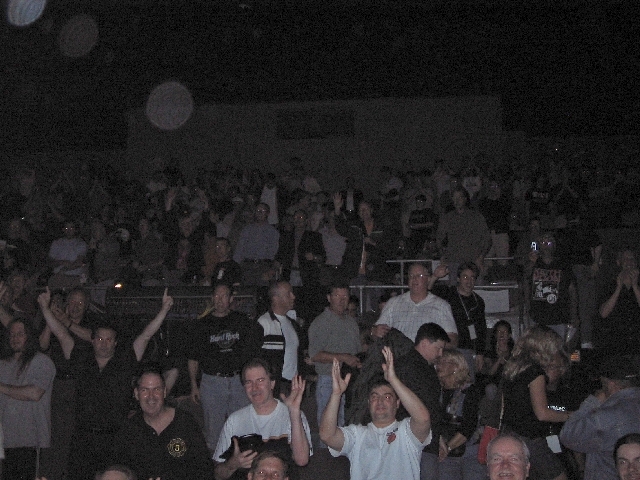 The task was made even more difficult by the fact that a lot of the audience hadn’t returned to their seats by the time we came back on – so we had lots of people walking to their seats during the first couple of songs. So unfortunately, for me, the second half of the show wasn’t the climax it should have been. Still had a good time though – just made for a different dynamic to the show. 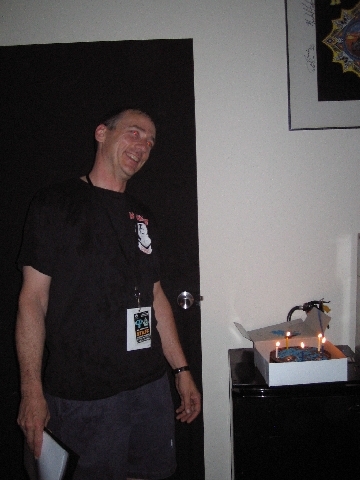 Darren, Bruce Pilato’s son, brought his complete collection of Futurama DVD’s and lent them to me for the rest of the tour – marking the start of my obsession with the show!